It looks like Mazda has been up to redesigning its entire lineup with its all new KODO design language loaded with fuel efficient engines. In queue to same they have recently unwrapped their new release Mazda Koeru 2016. The concept got its final production version at the Frankfurt Motor Show 2015. 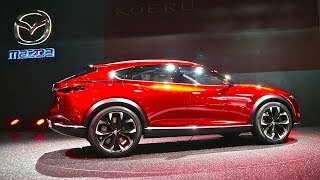 Hearing it from the company the model is speculated to be a milestone in the crossover SUV market with its design and features. 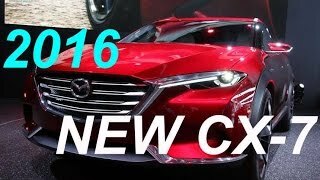 Let us have a look at the review of Mazda Koeru 2016 to know more about it. 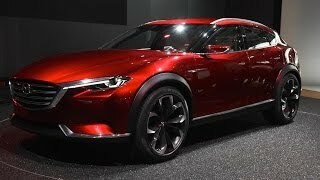 Though the interior details of Mazda Koeru 2016 are not yet shared but we expect it to be drenched in high-end materials. Not only this we also believe that the model will be equipped with few latest technologies like the new navigation panel, newly designed gauge cluster and a gorgeous dashboard. We presume that company will also work out upon the comfort and space by amalgamating better seats with top in notch upholstery, to offer its buyers better ride experience. 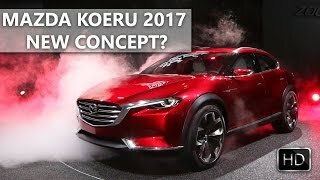 As of now this is all that we can talk about the interior of Mazda Koeru 2016 but we assure to share the entire details once they step out from the company’s warehouse. The exterior of Mazda Koeru 2016 carries the same KODO design language at its front. The traditional grille sits amidst the slim elongated headlights giving the front end of the model an aggressive touch. Slanting silver plates can be noticed beneath the grille and around the vast air vent in the center of bumper. Moving towards the rear, the side view is amazingly designed. The sloping touch, low ride height and slim glass windows look mesmerizing. Door handles are given touch of silver. The rear fascia of the model is adorned with smaller tail lights replacing the traditional set up and thus carry the glory of front end. The crossover with its stunning looks might give you a coupe-like form. There are large exhausts at the rear which join the glory and spread aggression through its sportive touch. 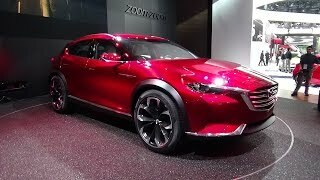 In all the exterior of Mazda Koeru 2016 is undoubtedly a commendable work of designing. Just like the interior the performance and powertrain of Mazda Koeru 2016 is not yet revealed. However we expect a 2.5 liter engine to be housed inside the model, keeping in mind the performance and fuel efficiency factors both.